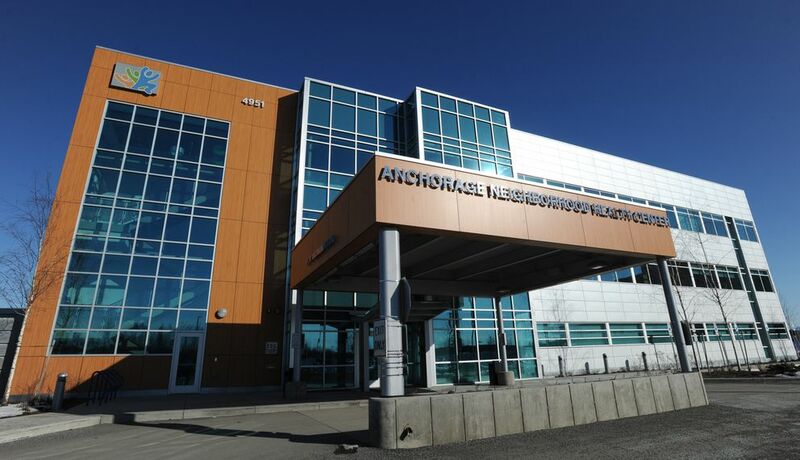 The Anchorage Neighborhood Health Center has returned to its former status as a leading public health clinic, hiring about a dozen new medical staff, eliminating a long waiting list and accepting new patients, says its chief executive officer, Tammy Green. Green started her job as the head of the neighborhood health center last June, a time when the Midtown health center had a waiting list with more than 2,000 names on it. It had closed its doors to most new patients and, at its lowest, its staff had dwindled to six medical providers. The health center's mission is to treat any patient regardless of ability to pay, but without enough staff it had to start refusing service. "It was really hard on a lot of our staff members to turn people away. It was really emotionally exhausting," Dr. Jenny Love, the health center's medical director, said Monday. Love started working at the neighborhood health center in late March 2015 and her focus turned to recruitment: How could she hire more medical practitioners at a health center that often could not offer salaries as high as private medical practices? The solution did not prove overly complicated, just time consuming. Love set aside one morning each week to recruit new medical staff, including doctors, physician assistants and nurse practitioners. She sent emails and made phone calls, checking with people who once had expressed interest in working at the health center. Even if people had turned down job offers at the health center in the past, Love still resolved to check in with them about twice a year. "It's constant contact, back and forth," she said. "Just keeping in touch. Making sure they know we're interested." Love also offered flexible schedules and talked to potential new staff about the health center's mission and its vow to serve all patients — health insurance or not. "There's a lot of health care providers out there who really do want to have a mission focus in their career," Love said. "It's very soul satisfying. It's mentally stimulating to try to figure out how to overcome all these challenges, and plus you just feel like you really are contributing back to humanity and your community." Last week, Green said the health center had 25 medical providers, more than half doctors. It had also taken on 2,200 new patients in the last year, bringing its total patient population to about 12,000. Fees paid by those additional patients mostly pay for the new medical providers, with federal grant money picking up the rest, said Shannon Savage, strategic communications and marketing manager at the health center. Leah Besh, one of the new physician assistants at the health center, said she knew she wanted to work in community health, somewhere where she felt she was making a difference. Besh graduated from East High School in 2004. After college, she worked as a care coordinator at the Anchorage Neighborhood Health Center and then attended PA school. She completed her rotation at the Anchorage health center, and was recruited back by Love. Besh said Love sold her on the uniqueness of the health center and its patient pool. Love said all but two of the new recruits were "in Alaska or had roots in Alaska." "I have been learning constantly," Besh, 30, said. "I would not have traded my decision." Love said she not only underscores the health center's mission, but is also able to provide part-time positions and flexible scheduling. Health center staff also reworked the benefit package it offers to employees, so part-time employees could tap into it. The health center has about five part-time medical providers, including Dr. Rachel Samuelson. 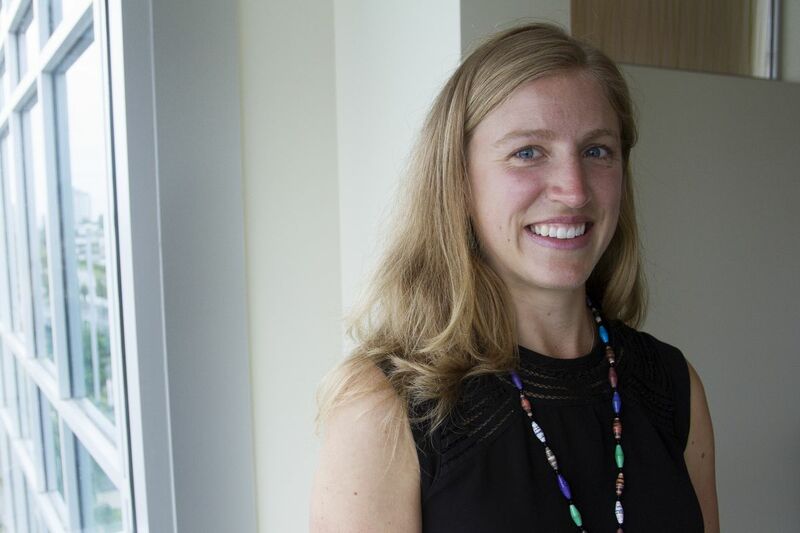 Samuelson, 34, grew up in Anchorage and started working at the health center in October 2015 after graduating from medical school and completing her residency. Samuelson said she was looking for a good work-life balance, and she knew she wanted to work one or two 24-hour shifts per month at the emergency room in Seward. "It's nice to have that variety in the practice," Samuelson said. "When I'm down there I get to see a lot more lacerations to prepare, broken bones, splints," she said. "We see urgent stuff in the clinic here. But not so much trauma." Samuelson said the first time she applied to the health center, they said they could not offer her the schedule she wanted and she turned down the offer. Then, Love offered her a job where she could work 3½ days a week. She took it. "That was super helpful," she said. Plus, if she works at the health center for two years, the federal government will help repay about 30 percent of her medical school loan, she said. Love said the health center aims to provide its staff with a good working environment that includes benefits they can buy into and flexible work hours. Savage said the medical center has seen a 60 percent reduction in staff turnover, comparing data now from last year. Love, who is transitioning to a new role of medical director of population health and quality, said she feels the staff has stabilized with spirits boosted now that they no longer have to turn patients away. "We have appointments that are open during the day so when somebody calls, we're able to get them seen that day," Love said. "Not having to turn them down or say, 'Well, the only appointment is in three weeks' and just hear that person sigh on the other end of the phone, not having to experience that every day, I think has been very uplifting for our staff members. And that's a major sense of relief."